Jennifer Clary, 42, of Tullytown, Bucks County. A Tullytown woman has been charged with criminal homicide after prosecutors say she allegedly drugged her two-year-old son at her home late last month, killing the boy and nearly taking her own life. 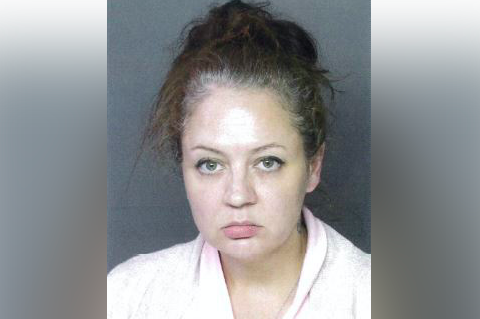 Authorities charged Jennifer Clary, 42, in connection with her son's August 25 death. Investigators allege Clary gave the boy a sippy cup with a fatal dose of the active ingredient in Vicodin. Police responded to Clary's home in the 500 block of Lovett Avenue around 10:25 pm that night after a neighbor earlier called Bucks County Children and Youth Services (CYS) with concerns about the welfare of the child. CYS staff contacted authorities when Clary appeared to be intoxicated and uncooperative. Officers gained entry to the home and found Clary and her son lying on a bed with blood all over the sheets. The boy showed no signs of life and Clary had lacerations on both of her wrists, according to a criminal affidavit. She was transported to Lower Bucks Hospital to be treated for her injuries, which appeared to be self-inflicted. A search warrant executed the following day revealed childproof prescription bottles in Clary's name that had been secured in a lock box. The ingredients in the pills matched corresponding metabolites found in Clary's son following an autopsy and toxicology report, prosecutors said. The contents of the boy's sippy cup also tested positive for hydrocodone. Clary is being held without bail at Bucks County Prison.